The USA is remarkably vast. From its east coast to the west, it is packed with countless unique and memorable experiences. A destination famous for its national parks, dynamic cities, gorgeous beaches, rich historical sites, and quaint countryside, USA has always been a favorite among holidaymakers. 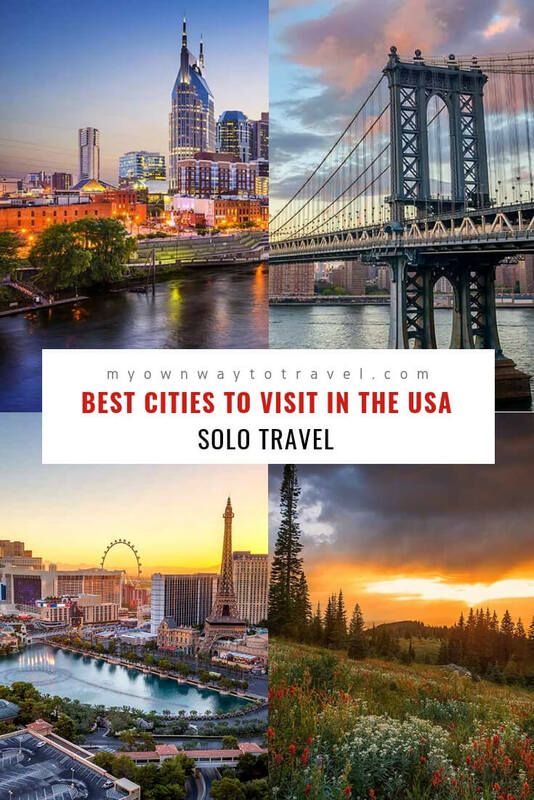 However, ever wondered how a solo traveling experience would be in the USA, while the country offers plenty of places for families and friends to get together and enjoy quality time. But there are also many excellent destinations that are ideal for solo travelers in the US. So where to travel solo in the USA? 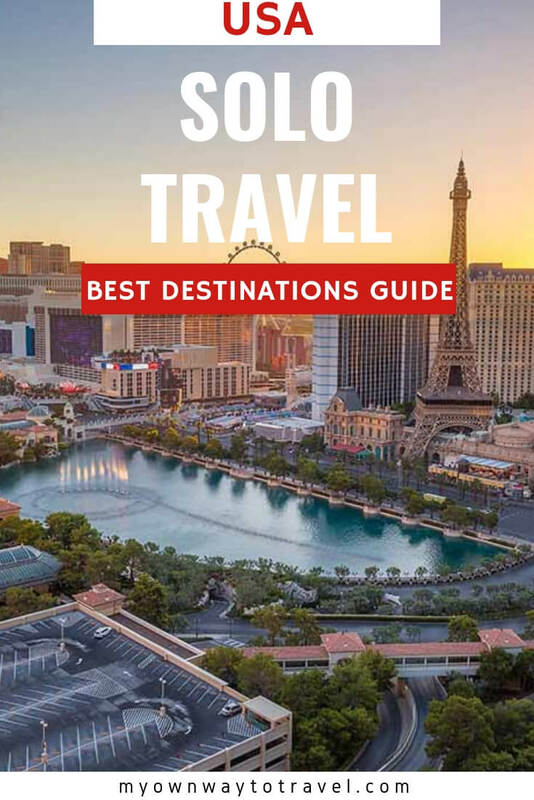 The guide below will give you an overview of the 11 best cities in America for solo travel. 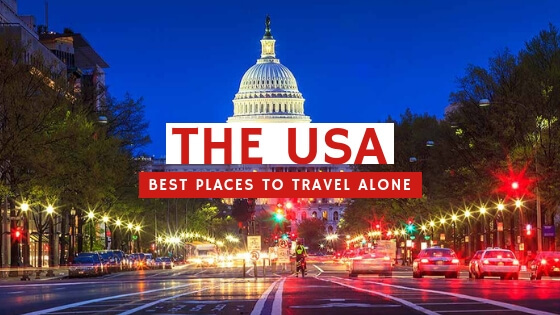 Undoubtedly, some of the best places to travel alone in the US even for the first time for a solo traveling adventure. The moment you step in San Francisco, you feel one of their own. 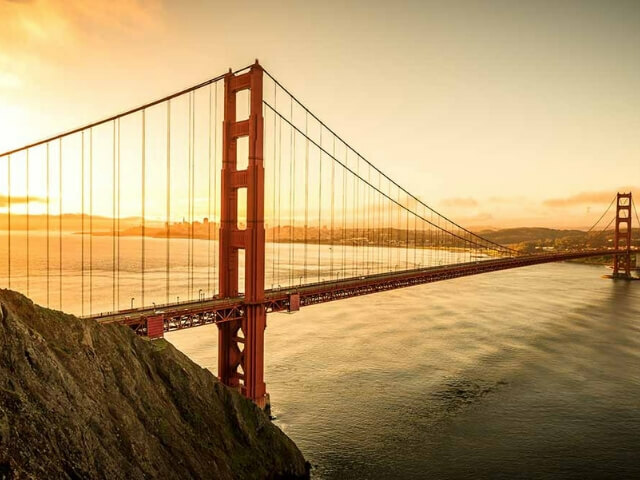 One of the coolest places to visit in the US, San Francisco lets you wander freely and enjoy pleasant warmth and memorable experiences. Enjoy the beaches, the wharves, the friendly neighborhoods, free concerts and events at your own pace. Not to mention the glorious vistas of Golden Gate Bridge and the iconic tram ride through the streets of San Francisco. This is one place you would instantly fall in love with its locals, its ambiance and stunning vistas. 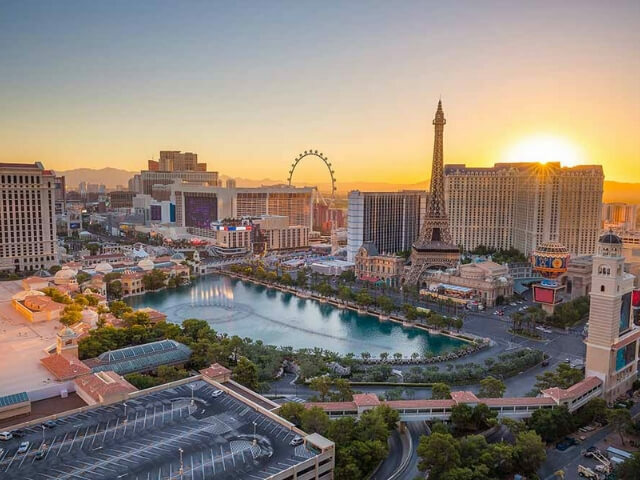 Las Vegas is one of the most popularized places to travel in the USA. One would think of Las Vegas as a place where you cannot travel without any company. However, traveling solo to Las Vegas gives you immense freedom and plenty of things to do on your own. You get to lavish in a luxury, party all night, take hot air balloon rides, get to know people and make new friends. Las Vegas will never give you a dull moment on your trip. New Orleans might be famous for its Bourbon Street and Mardi Gras, but there is much more to this appealing township. The city is a great place to enjoy the sublime ambiance, good company, and great food. The city is renowned for its pulsating nightlife, music scene and the eclectic blend of French, African and American cultures. 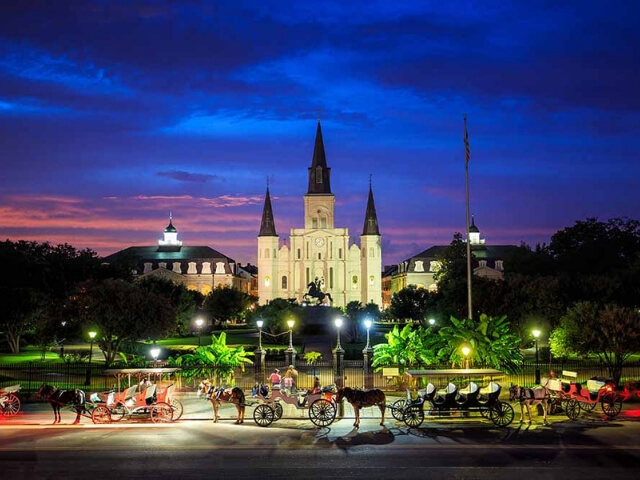 The colorful street murals of the By water neighborhood, its charming alleys, and nature parks, colonial and antebellum heritage – New Orleans take you through a soul-soothing journey away from the urban masses and chaotic life. If you have always felt that the USA is all about modernism, a visit to Asheville will open your eyes to a different and new perspective. Surrounded by pristine mountains, Ashville is a city filled with historical buildings and a vibrant art scene. Stroll around the city to view its historical elements and grab a bite at its quaint cafés and craft breweries. You can also enjoy the sightseeing on the city’s trolley tours. It is a great place for being outdoorsy, to meet people and saunter around. The trekking or biking adventure on its nature trails is a must do while you are here. Its lush rolling mountains are scattered with countless gorgeous waterfalls. 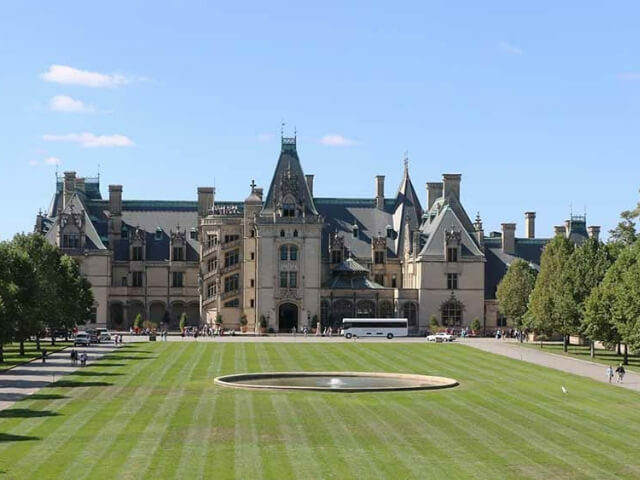 Take a trip to Asheville and guaranteed you will be smitten by this place the moment you arrive. 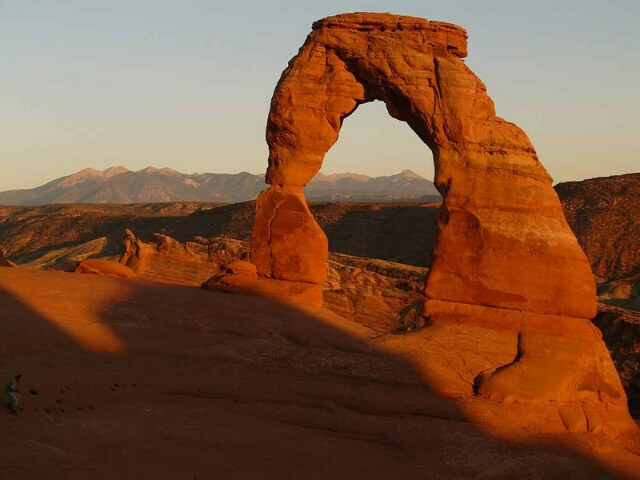 If you feel like taking a hiatus from the modern hustle bustle of the world, check out Moab in Utah – a haven for serenity and outdoor adventures. Add a twist of adventure to your solo travel and head to its pristine national parks which are among the popular USA tourist attractions for travelers. It is a great place to enjoy the serene solitude amid nature’s splendors. 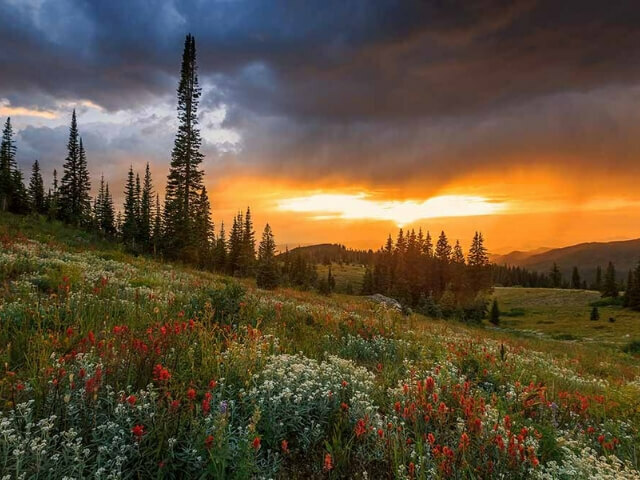 Moab is popular for camping and hiking, and its astounding scenic vistas make it worthwhile to enjoy the sublime solitude blended in wonders of nature. Appreciate the slow pace of life, pause a little and enjoy the moment. That’s what a visit to Cape Cod is all about. Teeming with beautiful, pristine beaches, Cape Cod lets you get your dose of nature’s wonder and stunning sunsets. This destination is safe for female solo travelers as well. Take a drive on the scenic route, go hiking on the nature trails or simply bask in the serene beachside ambiance. 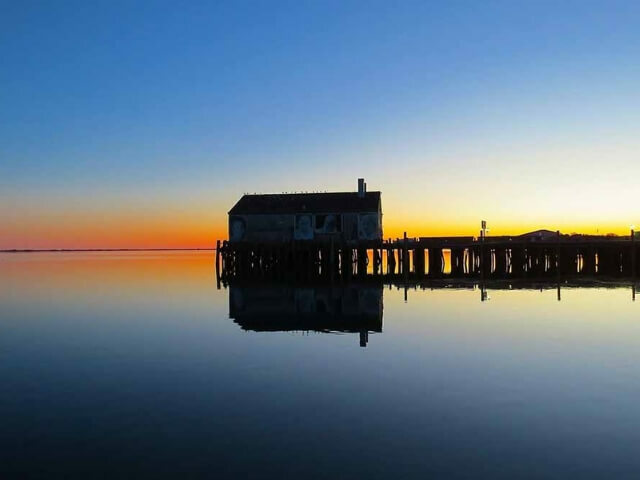 Whatever you choose to do, Cape Cod will leave a lasting impression on your mind. Enjoy the mishmash of country music, culinary delights, historical attractions, and amazing art and culture scene. The upbeat downtown offers live music concerts and plenty of restaurants and cafes to mingle with locals and relish a scrumptious meal amid good music. The city preserves its historic charms and offers exciting experiences of horse-drawn carriage rides. 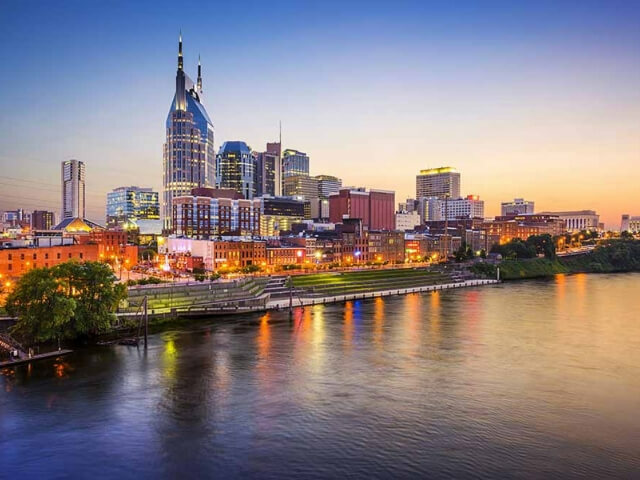 Known as the Music City, you can find yourself wandering around houses of music industry’s popular stars and almost every night you can witness a musical concert. You can take a tour of the city on the Old Town Trolley and even go hiking on the city’s gorgeous hiking trails. 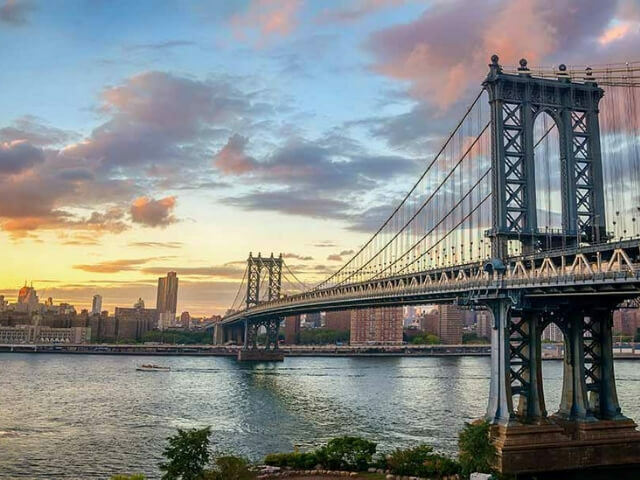 New York is one of the most lively cities in the world invites you to explore its vibrant ambiance, multicultural facet, and its numerous tourist attractions. The Big Apple is a city that is always on its toes throughout the year. The city is a medley of people from different nationalities and all walks of life. That’s why New York is a great place for solo travelers as you will never feel that you are all alone in a big city. It’s an ideal place to meet new friends and start new friendships. Also, there are so many iconic attractions such as the Statue of Liberty, Brooklyn Bridge, Central Park, Empire State Building to name a few which are ideal for visiting on your own to enjoy the experience wholeheartedly. Nestled amid the gorgeous Rocky Mountains, Boulder in Colorado is one of the pleasant and safe cities to visit in the USA. The city is sheathed in nature’s abundance of snowcapped peaks, picturesque meadows and vineyards blended with a charming township. The ambiance is refreshing and gels perfectly with the warmth of the friendly locals. The quaint settings of Pearl Street, the massive slab stones of Flatirons, vibrant teahouses, all will just make you fall in love with this US city. Here are also plenty of adventure activities to look forward to such as hot air ballooning, cycling tours, and skiing and snowboarding during winters. There won’t be a single moment that makes you feel lonely on your Boulder trip. Life’s amazing here with good food, lively people and great art and culture scene. It has been voted as USA’s Happiest City by National Geographic. 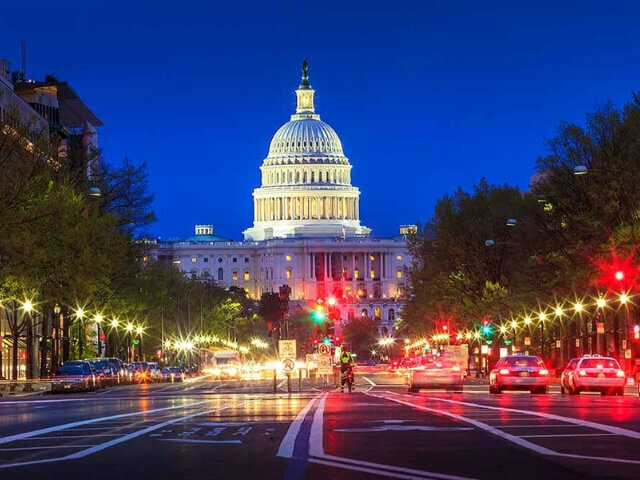 The capital city of the United States of America is a perfect destination for solo travelers. The city’s strong public transportation network, safety records and the proximity of numerous US attractions is a convenience for solo wanderers. It is also budget friendly as numerous attractions can be done free of charge. The city’s rich historical elements, a fantastic collection of museums and monuments together with touches of art and the cultural scene makes it one of the most popular cities to visit in the USA. The city also embraces nature’s beauty within its modern and historical ambiances. If you are a nature lover, you would love taking a stroll through the city’s parks and gardens during the cherry blossom season. Undoubtedly you are going to have a lovely time in the Florida Keys even being alone. Its pristine beaches are where you can just let go of your stress and relax in the warm sunshine as azure waters lap up on sandy beaches. 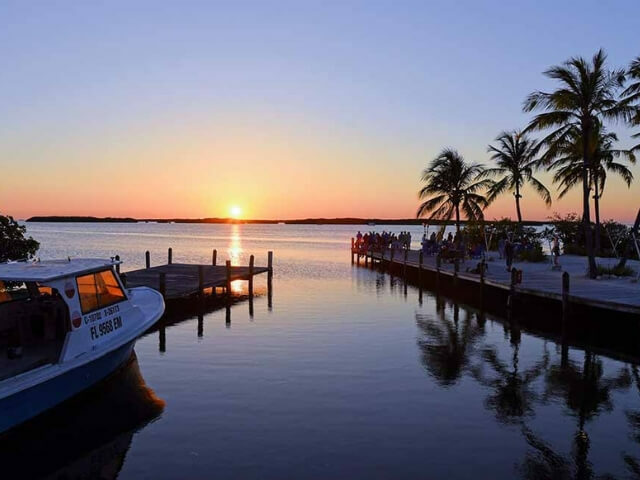 The Florida Keys is also renowned for its self-drive tours where you can witness the beauty of the destination flanked by the turquoise sea on a laid back road trip. The drive across Tavernier Creek Bridge to Islamorada is breathtakingly beautiful and something you will not forget in your lifetime. If you are interested in marine adventure, then the Florida Keys offers you an array of different activities to discover its underwater treasures. At John Pennekamp Coral Reef State Park, you can enjoy glass-bottom boat tours, scuba diving, and snorkeling trips. Everyone should once embark on a solo travel sojourn in their life. The experience is unique and an enriching way to enjoy your time alone. It boosts confidence and lets you feel empowered in your life. You also get absolute freedom in choosing where to go, what to see and can be in full command of your journey. USA’s destinations are marvelous to visit for solo traveler and are safe for single female travelers as well. So tick off solo travel adventure from your travel bucket list this year. All you need to do is get your USA visa from Dubai or any places convenient to you. 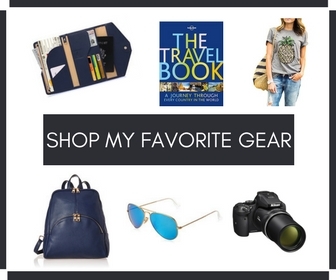 Plan your journey with your favorite US places and gear up for one of the best solo escapades of your life. Are you planning solo vacations in the USA? Share in comments your favorite best places to travel alone in the US.